Kids don’t often have the same level of discipline as adults. They easily get distracted and can’t fully commit to a goal. It is in their nature. They undergo rapid growth and development that their personality and preferences also change from time to time. Our modern world does not help either because countless tech distractions keep them preoccupied all day and night long that this habit has a negative effect on their health and well-being. If you look around you today, you can see young kids who are more adept at using tech gadgets that half the adult population. They can easily navigate the web and are even more familiar with the countless apps that litter the World Wide Web. Adults are not the only ones addicted to them but even young kids and teens too and it is proving to be alarming on various levels. Heck, even seniors experience real issues because of them. If you give your child a smartphone or gadget and allow them full WiFi or Internet access, you may just find your child addicted to it already in a few months’ time and it is all your fault. The hours will just fly by and even studies prove how addicted kids have become to these tech contrivances it has become their way of life. Sleep is crucial to normal growth and development. Children need it the most because they go through various changes in the course of a few years and if they don’t give their bodies the rest and recuperation it needs to grow strong and healthy, their growth may be stunted and their mental capacity may also be affected. It just spells bad news for children and their parents, so it is better to put a limit on their screen time and be hated at times rather than compromise your child’s health and well-being. Higher use of electronic media is tied to poorer sleep quality in children as young as three, a new study from Germany suggests. The study investigated the association between media consumption – including electronic media such as television, DVDs and computer gaming as well as books – with overall sleep quality in 530 three-year-olds born in southern Germany in 2012 and 2013. Aside from that, children unconsciously push their bedtime late into the wee hours of the morning and expose them to harmful blue light that does a lot of harm to their growing bodies. They end up going to school sleep and thus unable to concentrate on today’s lesson, so they end up like a blank canvas that are physically present but mentally absent. We are not even taking into consideration here the additional energy burden of tech users to the world and to the environment as they endlessly tinker with their devices even if they aren’t doing anything useful with it but just simply passing time. The team were also not surprised to find that children who had televisions in their bedrooms were 127% more likely to engage in sneaky media use compared to those without a TV in their room. 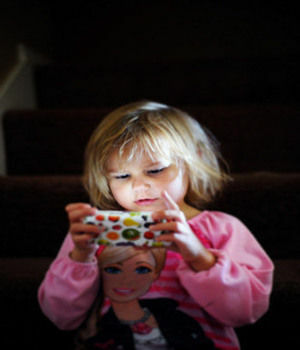 It is unavoidable for children to be exposed to technology because this is the reality of our time today. We use tech gadgets in our day-to-day and they can either make life good or bad for us. Again, technology can become your friend or foe depending on how it is used. Children can’t always make the best decision for themselves, so the responsibility boils down to their parents on how they can help them enjoy the best of both worlds so they don’t feel deprived yet at the same time they learn the art of discipline and not abuse technology. If you indulge them, it will just result in abuse, so better set limitations early on. Children who constantly suffer from sleeplessness may be due to the many distractions in their life that prevent them from getting that shuteye on time each night but it can also be because of a sleep disorder like sleep apnea. This condition is often diagnosed in the first few years of life as it usually is caused by a congenital anomaly. Aside from surgery, CPAP is an excellent treatment for sleep apnea although not everyone is thrilled at the thought of using it in their sleep and here’s why: https://snoringmouthpiecereview.org/why-a-cpap-machine-is-probably-not-for-you. 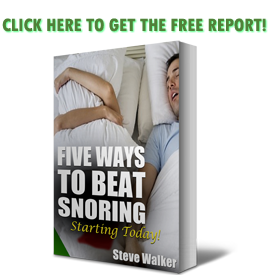 If that’s the case, you can try an anti-snoring mouthpiece like https://snoringmouthpiecereview.org/snorerx, which is a great alternative to CPAP because it keeps the airway open and also addresses the snoring sound most people with sleep apnea often make.